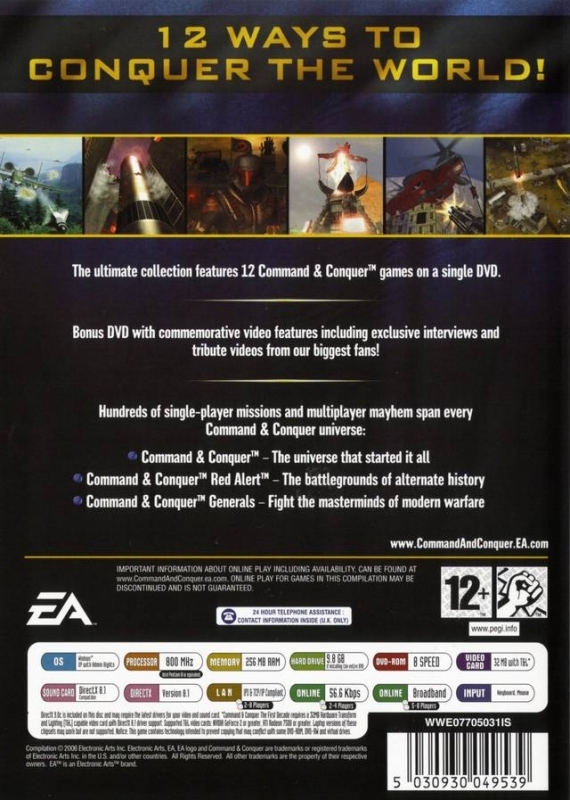 Electronic Arts' COMMAND & CONQUER series has been one of the most popular real-time strategy games in existence, and now players can check out twelve of the games on one CD with the COMMAND & CONQUER THE FIRST DECADE collection. The games are interesting combinations of science-fiction storylines and history. In COMMAND & CONQUER: RED ALERT, for example, players find themselves in an alternate history where the allied forces are battling Stalin and a powerful Russia instead of Germany because, after inventing a time machine, Einstein killed Hitler. It's interesting storylines like this that make the series so much more than the typical RTS game. 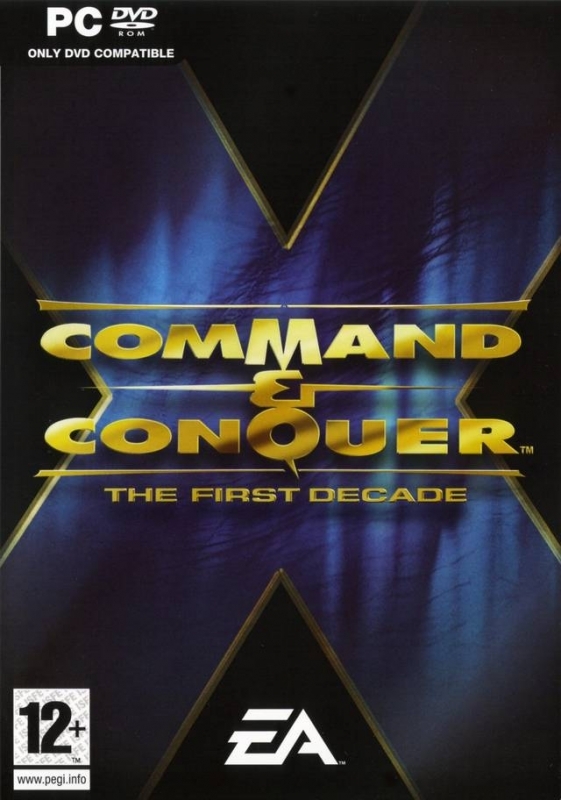 Twelve different COMMAND & CONQUER games are included in THE FIRST DECADE package, including the original game, RED ALERT, TIBERIAN SUN, RENEGADE (a first-person shooter set in the C&C universe), RED ALERT 2, YURI'S REVENGE, C&C GENERALS, ZERO HOUR, and more. All have been updated to run on Windows XP. All of the games take different approaches and are often set in different worlds, although some are direct sequels. However, the well-written storylines and addictive gameplay remain the same through each game, with each successive game tweaking the mechanics a bit. Players will find the first C&C game does play a bit differently than the more recent ones, but the controls aren't so outdated as to make the game no longer fun. Fans of the COMMAND & CONQUER series who missed a few installments should pick up the COMMAND & CONQUER THE FIRST DECADE pack. Bought it for $10, so many classics, what a steal! Haven't experienced any bugs, slight graphics issue but downloaded patch online and it actually upgraded the screen resolution so the games look great even after all these years. Half the games on it don't even work for me. A collection of amazing games, too bad it's very buggy.